I just hired my first project manager a few months ago and it may be one of the best decisions I’ve made in my business, if not THE best decision. It all came about when I sat beside Natalie Gingrich days before the Boss Mom Retreat in San Diego in September of 2018. Natalie is an expert on everything project management – from hiring one for your business or for being one to help another business owner. 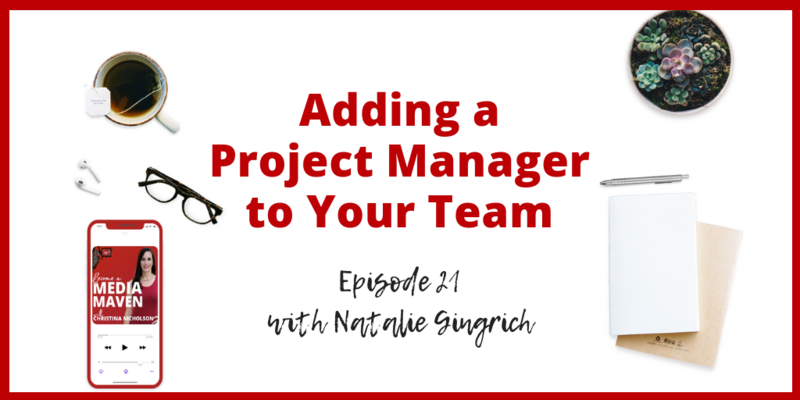 In this episode, Natalie will break down the signs you’re ready for a freelance project manager, how to find a project manager, and what to assign that project manager. If you feel overwhelmed in your business or if you are great at taking overwhelm away from busy entrepreneurs, you will love this episode. I knew I needed help. I had a big list of things that I did that I didn’t want to do anymore and I kept going back and forth with, “Do I get an assistant or do I get a project manager… and what’s the difference? It has just been a huge weight off of my shoulders having the project manager, her name is Robin, that I have now so I really wanted to bring you on to talk about what a project manager is, what they do, how you can be your own project manager and then when it’s time to hire somebody else, how to hire somebody else. First, start off by just telling me how do you know when you need a project manager or even what is it and how do you know when you need one? I’m juggling way too many balls. I’m contemplating not doing this anymore because I feel so bogged down and in the weeds. So those are all really good indicators that you’re growing. So on the positive side, you’re growing, you’re making changes, and it’s time to scale. And when you get ready to scale, you always scale through people. You’re not scaling through passive products or anything like that. I believe your first hire is almost always an assistant. It’s always that person to take over some of the lower hanging fruit that you are doing that isn’t really serving you as the business owner, and the leader, and eventually the visionary of your company. I love making sure that assistants get the glory that they need because they truly do take off some of the weight. That gets you out of that conundrum in that hamster wheel if you will, so that’s usually the first hire. Once things scale a little bit further and you’re starting to make some consistent revenue, you’re feeling really good about what you’re doing and you’re positioned well. Now, it’s time to expand. The way you’re going to expand is by bringing on a little bit higher level operational or administrative type role, which is what I consider either a director of operations or an integrator (if you read the book Rocket Fuel), but ultimately they all come back to project management and project managing skills, which I believe lots of people have. You don’t have to be a certified project manager to be able to help somebody in their business and you don’t need that certification to move forward, so that is kind of the feeling that you’re having as the business owner, like ‘I’m ready to throw in the towel, wave the red flag and say I need somebody here to help me to be strategic’. So that’s the differentiator of a project manager versus an assistant. You’re getting a little bit more of that strategic mindset, that strategic assistance. So now it’s more of a right-hand person. In the corporate space, you would call this like a chief operating officer, but in our space, which is the small business space for sure entrepreneurship, but also just a micro-business. Many of us are just one or two people and you’re not needing a CEO. You’re really meeting someone that can really assist you with the strategy. The biggest thing of all the implementation, which is what you are sick and tired of doing by the time this person’s coming into your life. I want you to touch on something that you said which is you always scale through people because I know for me the biggest breakthrough in my business and when it really started growing, and it’s funny because I feel like a lot of small business owners are so afraid to spend money and they’re so afraid to bring somebody else on because then you have to pay somebody and then you have to spend time training them and this and that. But I can honestly say when I started spending money on people, even though I was giving some of that money away, I got it all back, and more, so quickly because it was strategic. So scaling through people… talk more about that and if you deal a lot with people who are just afraid of letting things go and letting go of control while letting go of money too because they’re paying somebody. These are real issues that people talk to me and come to me with all the time, but scaling, first of all, scaling is from a project management perspective. Scaling is always through people, and I say this all the time because in the online space and in this entrepreneurial world, we hear the word scaling and we automatically go to, ‘I’m going to scale’. Scaling is always using human capital to make your life easier, to make the business run with more ease. You’re always going to scale through people. When you’re feeling that itch to grow, to expand, to make life easier, to save yourself some time, it’s going to be through scaling. Scaling always equates to greater overhead and more expense going out. But just like you said, you do get it back, you’ve got to be strategic about it and I often think instead of going straight to the course model or straight to a group program or something that’s going to take a lot of marketing from you always start with people because the return is so much greater and more dependable than if you’re creating a product that you can’t predict the success of the product. And so with people, if you’re invested in that person, you’re going to get your return really, really quick, allowing you to scale a lot faster. So tell me how, I guess step one before you’re really ready to scale, you have to be your own project manager, right? That comes first. Yes, for sure. Assuming that a big time visionary doesn’t necessarily break things down like this, but you know, think about it in the normal sense of like managing your home and managing your children’s schedule. Most of us have a calendar in our home that says this is what we’re doing on Monday, this is what we’re doing on the 15th, this is the commitment or the football or baseball or basketball game that we have on the weekend, so we’re using that template as a guideline for what we’re going to do on a day to day basis. So if you’re going to do that for your own business, it does look like the project manager of your own business. They say that if you don’t have a project manager, you are the project manager for your business and what that really means is trying to keep all the wheels on the track and you’re looking at all the things, all the balls that are up in the air and you’re saying, ‘okay, for me to execute this, I’m going to have to break this down into x, y, z.’ just like recording this podcast. There are a plethora of steps that go into making sure that I’m confirmed. Making sure that you have the headshot, the bio, that Skype is working, that I’m on Skype. There’s a bunch of different steps that go in this and it looks seamless on the outside, but behind every single person’s business, there are multiple projects that are broken down into small tasks. 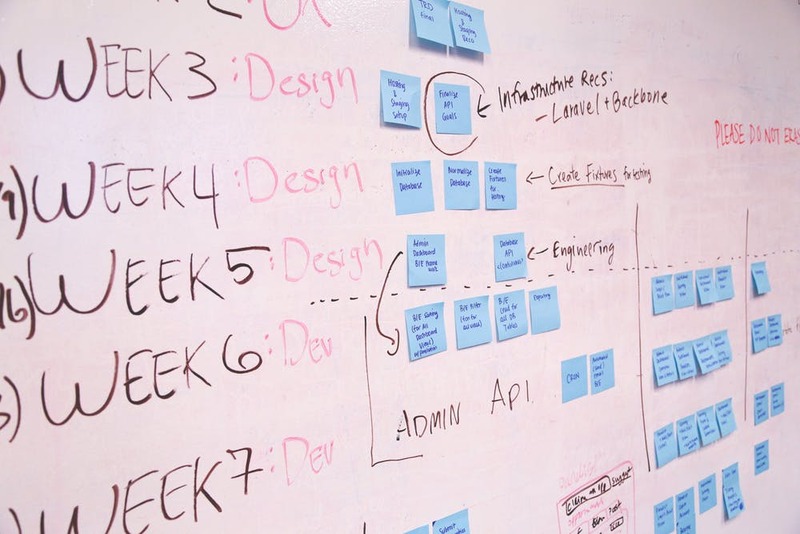 If you’re the project manager of that, of your own business, which most of us are, then you are going to be making sure that each of those deadlines get met. First of all, that you set deadlines, but second of all that they get met or you delegate them to somebody else who can help you. Maybe an independent contractor or an assistant that’s helping you for, you know, five, 10, 20 hours a week, whatever that may be. So you’re making sure things get. Don’t stop now, you want to click here to listen to the rest of what Natalie has to say in this episode, so be sure to download the episode because she has so much to share and we even get into specifics on my project manager hire and how you can do the same thing with success.